Are Asset Management Giants Walking the Walk On Long-Termism? A new CORPNET working paper has been published by Jan Fichtner and Eelke Heemskerk and provides novel findings on the combined ownership of the Big Three (BlackRock, Vanguard and State Street). Fichtner and Heemskerk call them the ‘New Permanent Universal Owners’ as they are invested indefinitely in thousands of member firms of stock indexes. This paper assesses Big Three ownership in 17 major stock indexes from nine countries and shows that their voting behavior on buybacks and mergers & acquisitions so far does not support their claim to be champions of long-termism. This publication is featured by Institutional Investor. In the interview Fichtner and Heemskerk say: “The concentration of ownership in their fund families was never on purpose; the concentration of voting power is a side effect of their successful business model. How can they now develop a responsible stewardship role without increasing their operational costs, without raising antitrust concerns and without undermining their business model?” The paper, having “struck a nerve” sparked reactions from BlackRock and Vanguard which can be read here. Author Lucas van StraalenPosted on February 19, 2019 February 27, 2019 Categories News & BlogsTags Asset managers, corporate governance, corporate ownership, index funds, institutional investor, short-termism, varieties of capitalismLeave a comment on Are Asset Management Giants Walking the Walk On Long-Termism? The International Conference on Computational Social Science, abbreviated IC²S² 2019, will be held at the University of Amsterdam from July 17 to 20, 2019. The CORPNET computational social science research group is enthusiastic and excited about bringing this important conference to Amsterdam. For four days, from July 17 to 20, the University of Amsterdam will be the epicenter of computational social science, hosting the 2019 edition of International Conference on Computational Social Science (IC2S2). The 5th edition of IC2S2 aims to bring together scientists from different disciplines and research areas to meet and discuss computational problems in the study of social systems and dynamics. The conference draws over 350 researchers and practitioners from over 20 countries and an array of disciplines including amongst others sociology, psychology, communication sciences, computer science, physics, mathematics, the life sciences and economics. Leading scientists and experts from all over the world will gather and exchange newest research findings during the conference. A data-thon will allow researchers to demonstrate their computational analysis skills while tackling real-world problems, while skills workshops will help attendees develop their computational skillsets. More information about the conference is on the website. We are very pleased to announce that Herman Mark Schwartz will visit Amsterdam and give a talk on Global Secular Stagnation at our University. Herman has worked on a broad set of issues in International Political Economy and is well-known to generations of Amsterdam Political Science students through his “authoritative introduction to the development and character of the global political economy” in States versus Markets. Everyone is welcome to join, no registration needed. Global Secular Stagnation: Keynes, Schumpeter, or Veblen? What explains slow growth in the global economy? The usual explanations point to demographic factors, technological stagnation, income inequality, or the 2008 crisis. Yet the first two of these variables are largely invariant, in that they have been present since the 1990s. The last factor can’t explain the relative slowdown in growth rates starting in the 1990s, only the starker decline post-2008. The third factor is incomplete. All four are somewhat incommensurable. This article returns to three early theorists of growth: Keynes for demand-side arguments, Schumpeter for supply-side arguments, and Veblen for industrial organization and business behavior arguments. Doing so provides a more supple unification of the usual explanations at a theoretical level while at the same time pointing towards a set of concrete institutional and political structures and behaviors that hinder growth. In turn this identification suggests more focused policy interventions to increase growth rates. A Veblenian approach points to the importance of firms’ strategy and structure as the main inhibitor of more robust growth. On December 10th, Corpnet will host a second ISRF-funded symposium on the evolution of economic power in the age of globalization. Corpnet-Postdoc Jan Fichtner invited a range of scholars to present and discuss their work on the topic with us during this one-day event. If you are interested, you are cordially invited to join one or more of the talks, no registration needed. The program can be found here. Corpnet member Milan Babic gave an interview in Amanda Vanstone’s Counterpoint program on Australian National Radio ABC. The full interview can be found here, where you can download the audio file. 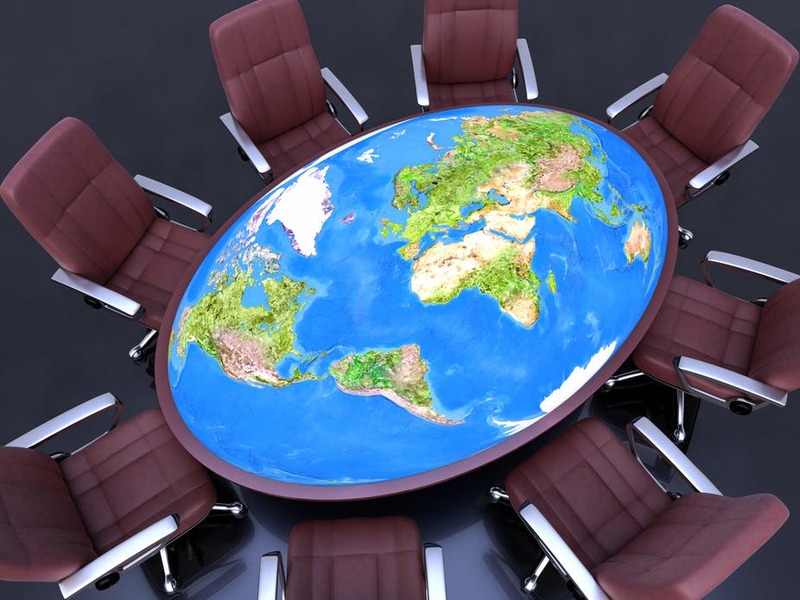 Who holds the most power in international politics? The state or corporations? 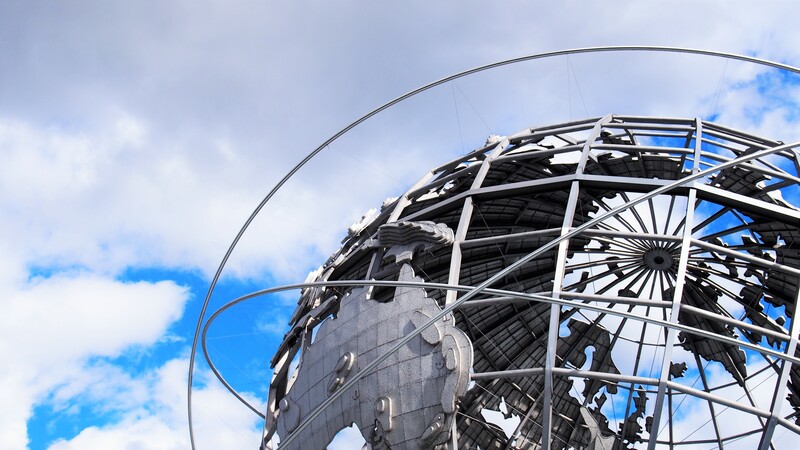 A new report argues that after decades of globalisation state power is back in charge. However, multinationals wield phenomenal power. They sell their products all over the world, they have huge supply chains and arguably mould politics to their own interests. Milan Babic is one of the co-authors of that report and he says that ‘international relations has become a giant three -dimensional chess game with states and corporations as intertwined actors’. Visit the Business and Politics booth at ISA 2018! If you’re at the Annual International Studies Association Conference in San Francisco, don’t forget to stop by the Business and Politics booth to visit the editorial and publishing team. Author Oumaima MajitiPosted on April 7, 2018 April 9, 2018 Categories News & BlogsLeave a comment on Visit the Business and Politics booth at ISA 2018! A new blog (in Dutch) by the CORPNET group has been published by StukRoodVlees. The blog, “Wie vormen de (bedrijfs)elite?”, is written bij Jouke Huijzer and can be found here. Zaterdag publiceerde de Volkskrant voor de 12e keer de top 200 van meest invloedrijke personen in Nederland. De lijst, dit jaar opnieuw aangevoerd door Hans Wijers, voormalig minister van Economische zaken en commissaris bij verschillende Nederlandse multinationals, is meer dan een rangschikking van individuen. Het is volgens de Volkskrant ook een poging om de “gevestigde orde”, de “bestuurselite” of de “schaduwmacht van de notabelen” in kaart te brengen, met de regering “als het centrum van de macht”. Uit een database van meer dan 23.000 personen die actief zijn in grote bedrijven en bij belangrijke organisaties, wordt de lijst aan de hand van een netwerkanalyse van dubbelposities samengesteld. Vervolgens wegen de journalisten sommige organisaties en personen nog een stukje zwaarder waardoor sommige personen iets hoger en andere personen iets lager op de lijst komen. Bij het samenstellen van de lijst worden een aantal beproefde en valide netwerkanalysemethodes gebruikt om de macht en invloed van de individuen te bepalen. Toch geeft de lijst op zijn slechtst een vertekend, en op zijn best een onvolledig beeld van de werkelijke bestuurselite in Nederland. Ten eerste omdat bij de lijst het primaat bij de politiek ligt en ten tweede omdat het onwaarschijnlijk is dat het establishment elk jaar precies even groot is. Waarom bestaat de lijst elk jaar uit 200 personen? Waarom bestaat de lijst niet uit meer of uit minder mensen en hoe bakenen we de elite op een juiste manier af? A new paper by the CORPNET group has been published in the Global Networks journal. 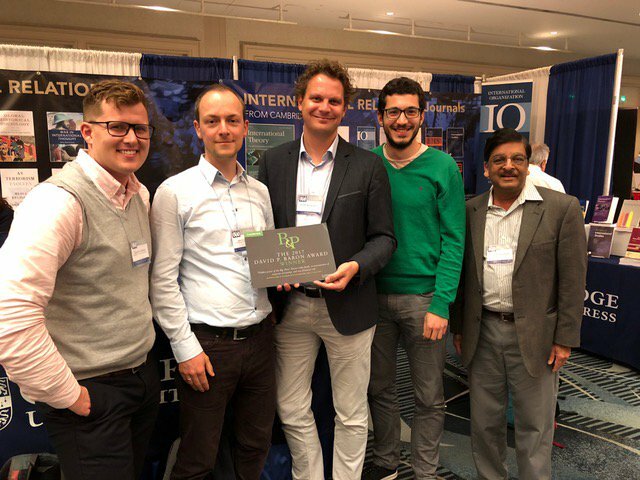 The article, “The promise and perils of using big data in the study of corporate networks: problems, diagnostics and fixes”, is written by Eelke Heemskerk, Kevin Young, Frank takes, Bruce Cronin, Javier Garcia-Bernardo, Lasse Hendriksen, William Winekoff, Vladimir Popov and Audrey Lautin-Lamothe, and can be found here. 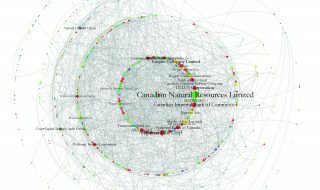 Network data on connections between corporate actors and entities – for instance through co-ownership ties or elite social networks – are increasingly available to researchers interested in probing the many important questions related to the study of modern capitalism. Given the analytical challenges associated with the nature of the subject matter, variable data quality and other problems associated with currently available data on this scale, we discuss the promise and perils of using big corporate network data (BCND). We propose a standard procedure for helping researchers deal with BCND problems. While acknowledging that different research questions require different approaches to data quality, we offer a schematic platform that researchers can follow to make informed and intelligent decisions about BCND issues and address these through a specific work-flow procedure. For each step in this procedure, we provide a set of best practices for how to identify, resolve and minimize the BCND problems that arise.